It’s here! Meet our new Smart Tag for canvas works! Just a year after the launch of Tagsmart Certify, a new standard for authenticity in art, we proudly present our new Smart Tag for canvas works, the latest addition to our family of tags designed for the mediums you love. The Smart Tag for canvas is archival and features the latest synthetic DNA and security elements. Its pioneering design allows for a quick and easy application and renders the Smart Tag flexible and free to bend, roll and expand/shrink with the natural movements of the canvas. Following conservation best practices, the Smart Tag fragments with any attempt to transfer or remove it, making it unable for reuse. Register now to order your Smart Tags for canvas, paper or aluminium works. 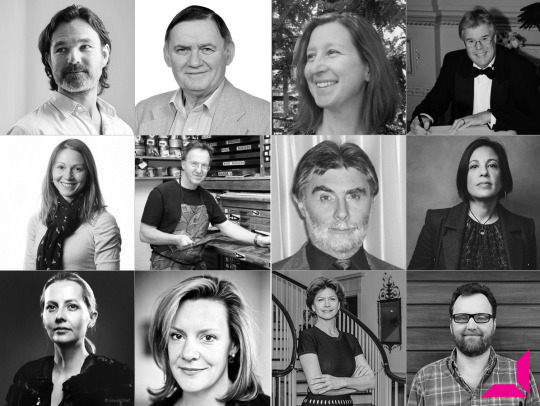 Tagsmart is honoured to introduce its Advisory Board comprising some of the world’s leading experts in the fields of arts and science. Its purpose is to assist Tagsmart in meeting its mission by sharing insights and knowledge on the art market needs and trends, as well as contributing to the latest scientific developments and applicable research. We are proud to be supported by Dr Matthew Baker, Mike Triggs, Dr Carinna Parraman, Professor John Watts, Dr Melanie Bailey, Graham Bignell, Professor Bill Redman-White, Joanne Wilson, Aino-Leena Grapin, Amy Todd Middleton, Colette Loll and Mike Adam and grateful for their crucial insights and distinctive expert advice. This dedicated trusted group of individuals shapes our business and is vital to our performance and engagement, ensuring our overall success in establishing a new standard for authenticity in art. For more information, please visit www.tagsmart.com/about-us. Earlier this week conman Richard Pearson was arrested for distributing the forged artworks claiming to belong to Norman Cornish, who died in 2014. Northumbria Police released photographs of some of the paintings and drawings which fooled gallery owners. They are not exact replicas of Cornish originals but are painted in the artist’s distinctive style, showing scenes of everyday life. Newcastle Crown Court heard fraudster Richard Pearson convinced gallery owners he had access to a collection of Cornish’s artworks through inheritance and a friend who wanted to sell his personal collection. He passed off a series of 14 drawings and pictures. Four of the fakes were sold on to private collectors. The art of forgery has progressed step by step with the evolution of art. Some forgers even create fake paper trails. Others are so accurate that even the experts can’t tell them apart, and then science must step in to analyse the paint, canvas or relative age of the work. At the Piramal Museum of Art in Lower Parel, an exhibition titled Likeness Without Reference – The Cultures of Forgery, is putting the real and the counterfeit side by side to try and show viewers the scale of the problem, and teach them a little bit about how to tell real master art from forgery (signatures and markings play a key role, FYI). Faking it: Does the forged Vermeer that fooled Goering belong in a museum? There ain’t no way that’s a Caravaggio. Let me pause and leave you with that thought, before we circle back to it. So there I was this weekend, in the small Dutch town of Deventer for my best friend’s wedding. I walked past the enormous former cathedral, stripped to the bricks during the Reformation, en route to complete task number 1 in my duty as best man: buying a postcard and a pen. That’s when I passed a sign at the town’s museum: Een Echte van Meegeren. “An Original Van Meegeren.” What were the chances? My last book was an illustrated history of forgery, prominently featuring Han van Meegeren, Dutch art forger extraordinaire, and there happens to be a special exhibit of his forgeries a few paces from where my friend is about to get hitched? In I went. And here’s the thing. Van Meegeren’s paintings may look nothing whatsoever like the work of Vermeer, and it remains extraordinary that the world’s leading specialists were so convinced that Van Meegeren’s forgeries were Vermeer originals — but they are extremely beautiful. They also fulfill Aristotle’s definition of what makes for great art: His paintings are good (they exhibit skill), they are beautiful (a subjective opinion, but a legitimate one) and they are interesting. Interesting not because they are some revolutionary new interpretation of art, but because of the story they embody, possibly the most dramatic of all known forgery cases. Van Meegeren was arrested after the Second World War for having sold Dutch cultural heritage (a Vermeer painting) to the enemy (Herman Göring, head of the Luftwaffe and a ravenous stolen art collector). This was considered high treason and, if found guilty, van Meegeren could have been executed. Oops. He rather frantically tried to explain his “recipe” for forging a Vermeer, but was not believed until he actually painted another one while incarcerated. Looking at Van Meegeren’s paintings in person for the first time, I was struck by the thought: I’d love to own this. I would love to be a forgery collector. The problem with forgeries is the whole being-duped thing. Buyers don’t want to feel that they’ve had the wool (expensively) pulled over their eyes. If you think you’ve bought a Tesla, paid Tesla prices, and it turned out that someone stuck a Tesla chassis on a Renault Zoe, you’d be pretty pissed. Same deal (but think in the millions rather than the tens of thousands), and you’ll understand the reaction of buyers who might have thought they were acquiring a Vermeer (worth tens of millions) but actually have a Van Meegeren (worth perhaps in the mid-five figures, largely because of the story behind his crime). But what if you know that it’s a Van Meegeren forgery of a Vermeer? Stripped of the fraud component, what you have is an extremely skillfully executed painting, beautiful and with a heck of an interesting story behind it. It becomes a relic of the story in which it featured, but it can also be admired for its aesthetic value. Forgery stories pop up all the time. In recent months, suspicion has floated that there is a previously unknown master forger of Old Master paintings (or ring of cooperating forgers) whose works are bobbing to the surface. Extremely good, expert-fooling forgeries have been spotted only with great difficulty: a painting by Lucas Cranach, a Franz Hals, a stunning Orazio Gentileschi. Add to this the Caravaggio I mentioned at the start of this essay, supposedly found in a family’s attic in Toulouse. This makes for at least four extremely convincing works that divide scholars. A handful still contend that each is authentic (or at least that evidence has yet to be made public that proves otherwise). Others argue that these are recently-made forgeries. Then there is the third option: that they are copies after original works, made not with fraud in mind (and therefore not a proper forgery), but later misattributed as an original. The idea that there is a “ring of forgers” is probably the least likely option, especially considering the works in question are skillfully executed, naturalistic works. One of only a few known proper forgery rings was in Siena in the 1930s, built up around Icilio Federico Joni, who specialized, along with his comrades, in Sienese Gothic altarpieces. But that is an outlier. Almost all known forgers have created alone (though many worked with others who functioned as front men and did the actual conning). There are some organized crime groups who dabble in forgery, but they tend to focus on far easier-to-produce, and often more valuable, modern works (like the Austrian/Slovenian gang just busted for trying to sell forged Picassos at 10 million Euros a pop). Abstract, minimalist work is artistically easier to produce than intricate, naturalistic paintings, but more than that, the materials are easier to get hold of (to resist forensic testing), and forgers do not have to replicate centuries of patina and craquelure if the work in question is only meant to be a few decades old. So how do we know if these works are a) original, b) forgeries or c) copies that were misattributed as originals? Forensic testing can only tell us so much. It can tell us the rough date that organic materials in a painting were made, and that’s pretty good. That should rule out a forgery, especially for Old Master works from the 16th or 17th centuries. But it can rarely guarantee authorship. Just because the Toulouse “Caravaggio” painting of Judith beheading Holofernes dates to circa 1610 does not make it a Caravaggio. Caravaggio’s work was so wildly popular that a wash of other artists sought to emulate his style (they are featured now in London’s National Gallery, at an exhibit called “Beyond Caravaggio.”) The original of this painting hangs in Rome at Palazzo Barberini, so this is necessarily either a copy by Caravaggio (and we have no historical record or precedence of him making an exact copy of one of his own paintings, as he altered them when asked to do multiple versions of a single subject, like his “David with the Head of Goliath” or “Supper at Emmaus” paintings), or a copy after Caravaggio. The latter is far more likely and, frankly, is what I thought immediately upon seeing a digital image of the Toulouse painting. It just doesn’t look good enough to be by Caravaggio himself. It looks like a solid, contemporary copy, likely by a 17th century painter who tried to learn Caravaggio’s best-selling style (which the artist fiercely guarded — he sued those who tried to ape him). It’s valuable. It’s interesting. I’d be delighted to have the work on my wall. But it ain’t no Caravaggio. Which brings me to my point. Depending on the law of the country in question, some forged artworks proved as such in court must be destroyed (in France, for instance), a draconian move meant to make it impossible for forgers to profit from their crimes. Other nations keep forgeries for didactic purposes (Scotland Yard owns many wonderful forgeries from their successful investigations, and occasionally shows them in exhibitions) — when I taught a course on art crime at Yale, I was able to dip into recognized forgeries in the Yale Art Gallery’s storerooms and use them in hands-on seminars with my students. Forgeries should be noted as such, and it’s no good if they continue to fool people. Likewise, it probably is immoral, and should likely be illegal, for convicted forgers to profit from the sale of their art or image rights to them (this is why the blockbuster Scotland Yard exhibits at London’s V&A Museum never came with a catalogue — they would have had to pay the forgers for permission to use the images). But forgeries are beautiful, interesting, skillfully made objects that are a component of the history of art, culture and crime. As long as they no longer trick us, they are works that I, for one, would be delighted to collect. Three people have been arrested for allegedly forging and selling copies of artist Lee Ufan’s paintings. A National Forensic Service investigation confirmed that the six works in question do not align with genuine pieces by Ufan. The artist, however, maintains that the 13 paintings in questions are his authentic works. Following a tip-off last December, the police raided Seoul galleries suspected of selling fake artworks by Ufan. The following month the police said that the Certificate of Authenticity for his 1978 painting From Point No. 780217, which was sold for US$415,600 to a private collector at an auction last year, had been forged. Although the artwork itself was proven to be authentic, the incident raised further suspicions surrounding the authenticity of his paintings. In May and July, the police arrested three art forgers for 55 fake pieces claimed to have been done by Ufan, and selling them through the same gallery implicated in the latest police discovery. With four of the 13 paintings seized by the police credited to this group and six paintings claimed to have been forged by the latest forgery ring, the source or sources of the remaining three seized paintings are still unknown. Austrian police have busted a multi-million forgery ring comprised of five Austrian and one Slovenian nationals. In the Slovenian part of the operation, Ljubljana police uncovered 66 works of art by acclaimed authors, including by Picasso, Klimt and Monet, at the home of a 65-year-old from the vicinity of Ljubljana. A former Franklin Pierce University professor and her son have been accused of selling almost US$700,000 worth of counterfeit paintings to a well-known art collector, according to court documents. A recently filed lawsuit alleges that Lorettann Gascard, a former art history professor at FPU and director of the university’s art gallery, and her son Nikolas, sold 24 counterfeit Leon Golub paintings to collector Andrew Hall over a two-year period. Hall, who collects postwar and contemporary art, began collecting the works of Leon Golub in 2003, according to court documents. He had acquired about 40 of his works by 2009. His first experience with the Gascards was in September of 2009, when he purchased a piece through auction. At the time, the piece was said to have been “acquired directly from the artist by the present owner” and brought to auction by the Gascards. Hall purchased six more paintings from the Gascards via auction through March 2011. By January 2011, Hall began dealing directly with the Gascards. All in all, Hall purchased 24 paintings directly or through auction from the Gascards, according to court documents. In November 2014, Hall, through the Hall Art Foundation, an organsation founded by Hall and his wife Christine, began to plan an exhibit of his Golub collection, which totaled over 60 paintings. When Hall’s foundation asked the provenance of the paintings, the Gascards said the works were either gifts or purchases from Golub, and that they had a personal relationship with the artist. In preparation for the exhibit, which was due to open in early May of 2015, the Hall Foundation contacted Nancy Spero and Leon Golub Foundation for the Arts to confirm the dates and titles of the works that would be exhibited. During this process, the Golub Foundation raised red flags about “virtually all” of the works acquired from the Gascards, as there was no record of the paintings in the Golub Foundation’s inventory. Golub’s son, professor Stephen Golub, emailed the Hall Foundation on March 28, 2015, saying that in addition to the works being “problematic,” neither he nor his brother had a recollection of meeting or hearing of Gascard. The complaint filed with the court alleges that the Hall Art Foundation began seeking Gascard’s assistance to prove the genuineness of the challenged works. While a spokesperson at Franklin Pierce University has confirmed that Gascard is no longer employed with the school, no further information was provided. Gascard had been employed with the university from 1997 at least through December of 2014. In May of 2014, Gascard had filed a lawsuit against the university, alleging various forms of employment discrimination. Shortly after coming under the hammer for US$102,000 during a charitable auction in Ho Chi Minh City last week, Hanoi Old Quarter, a painting claimed to be by famous Vietnamese late painter Bui Xuan Phai has been called out as a counterfeit work. Phai’s son Bui Thanh Phuong was among the most vocal accusers, saying his father had never painted such a work. “There are only five or six art collectors in Vietnam, so who is keeping whose paintings is a shared knowledge. There is no way a painting by my father that nobody including me has ever heard of just appears out of nowhere,” Phuong claimed. Bui Quoc Chi, owner of Duc Minh Gallery which had put the painting up for auction, affirmed that the painting was authentic. “I will take full responsibility before the organisers [of the auction],” Chi said. Despite Chi’s reassurance, many Vietnamese artists have weighed in their opinion on the matter with suspicion.“It does not take Bui Thanh Phuong’s words to know that the painting is a fake, as anybody who has decent knowledge in the field can tell apart the differences,” painter Nguyen Thanh Binh commented. Binh’s comment was echoed by many other experts in the field, as they all found the painting lacking a sense of Phai-ness. Their suspicion is founded, as Phai is perhaps the most copied artist in Vietnam, to the point that there’s a saying among insiders that goes “Phai paints more when he’s dead than alive”. A new lawsuit is brought by the Mayor Gallery against the Agnes Martin Authentication Committee underscores the importance of shielding authenticators from liability, and the problems inherent in the status quo. The Mayor Gallery sold certain paintings to individual collectors in the belief (and representing) that the works were by Agnes Martin. The prices for the works ranged from US$2.9 million for Day & Night, to US$240,000 for an Untitled work, to US$180,000 for The Invisible, among many others. These works were all at some point, according to the Complaint, submitted to the Agnes Martin Catalogue Raisonné and its Authentication Committee. The Mayor Gallery alleges that the various Agnes Martin works were submitted for authentication pursuant to the Authentication Committee’s Examination Agreement. In each work at issue, the Committee apparently rejected the idea that the works were authentic. The gallery argues that such rejection was reached with an inadequate level of interest or responsiveness, and as a result, it rescinded its sales to the individual owners and repaid the purchase price. Major broker Jardine Lloyd Thompson has warned art dealers against the impact of art forgeries after the painting An Unknown Man, thought to be by Dutch artist Frans Hals and sold for £8.5 million was recently declared fake. JLT warned that in many cases, collectors will not be able to claim against their insurance if they discover that their art pieces are forgeries. However, there are certain policies that cover these cases, according to Daniel Smith, a member of JLT’s Fine Art, Jewellery and Specie team. “Although the take-up of this sort of policy is relatively low, I think we’ll start to see a significant increase as the possibilities of more forged Old Masters are uncovered,” he said. Smith said dealers can purchase professional indemnity insurance to protect themselves from customers’ lawsuits resulting from art forgeries. However, most dealers don’t bother getting cover because of the costly nature of the policy, Smith noted. “In light of this recent issue as well as a number of similar high-profile forgery cases this year, I would urge dealers to consider safeguarding themselves against the impact – both in terms of money and reputation – that cases such as these can have on their business,” Smith said. The Ministry of Culture, Sports and Tourism announced Thursday that it will legislate a new law regarding artwork distribution in an effort to root out the distribution of counterfeit works, recover public trust in Korea’s art market, and establish a healthy trading platform for creative crafts. The law will be implemented in August 2017. The new law will divide art distribution into three major categories: art galleries, which will be subject to a registration system; art auctions, to a permit system; and other sales of artworks, to a reporting system. Currently, art galleries or art auction houses can operate with only a business license, and without official registration or approval, which led to criticism that they lacked transparency and engaged in unfair practices in their art distribution process. With the new law, however, art galleries will have to submit plans to prevent counterfeit artworks as well as a list of all of their affiliate artists. Auction firms will also have to provide counterfeit prevention measures, while possessing certain qualifications including at least 200 million won in capital, an official auctioneer, and an auction house. Furthermore, artwork distributors will be obliged to maintain records for each of their artworks, and issue an official warranty when they’re sold. Failure to do so will also be result in fines and cancelled business licenses. The law will implement stronger punishment for counterfeit crimes as well, by stipulating that these types of crimes be punishable by up to five years in prison or 50 million won in fines. The ministry will also consider the potential implementation of special judicial police specific to artwork fraud. Meanwhile, the ministry is to establish a national body for artwork authentication, which will function as the official agency responsible for developing new authentication technology and professionals in related fields. The full details of the law are to be revealed in the first half of 2017. Chun Kyung-ja was one of the most prominent female painters in Korea’s modern art history. She is best known for her portrayal of women and flowers, as shown in her controversial painting Beautiful Woman. The controversy began in 1991 when Chun claimed that a painting attributed to her, which was (and has since been) on display at the Museum of Modern and Contemporary Art (MMCA), was a fake. An authentication process soon followed, but eventually the museum and the Galleries Association of Korea (GAK) announced that the work was legitimate. Unconvinced and full of despair, Chun donated 93 of her works and left Korea for the United States in 1998, never to return. During the entire period of her exile to the U.S. up until her death in 2015, Chun never painted again. But the authenticity dispute resurfaced with media coverage of Chun’s later years and the controversial painting, with Chun’s remaining family members and their team of lawyers filing a lawsuit in April against MMCA officials claiming that the museum had declared a counterfeit painting as a genuine one. The lawyers have since demanded that an outside institution with no relationship to the MMCA or the GAK carry out an authentication process for impartiality, which is when the French art technology firm Lumiere Technology stepped in. The authentication team from the French company arrived in Korea Tuesday, according to the Prosecutors’ Office, and has since been carrying out its authentication procedure using the company’s self-pioneered technique called Layer Amplification Method; the same method the company used to analyze the Mona Lisa and discover a hidden portrait under the iconic Da Vinci painting. The method will analyse the controversial painting for its various elements, such as brush stroke, paints, and the order of workflow, and compare it to other works by Chun for a comparative analysis. According to the prosecutors, the process is expected to wrap up by the end of the month. Prosecutors will be piecing together all the corroborative evidence, including the final verdict from Lumiere Technology, to determine the authenticity of Beautiful Woman, and officials are hopeful that the decades-long dispute will finally be settled. “I defy anyone to look at these and not feel uncomfortable,” says Indigenous artist Jonathan Jones of the broad shields listed in the catalogue for the Sotheby’s London auction of Aboriginal Art on September 21. At first glance, the listing may seem relatively innocuous. However, little is known about how this particular shield came to be in private hands. Jones, along with National Museum of Australia senior curator Carol Cooper, is on a mission to find out exactly where shields like this came from, right down to identifying the people who made them. He has set up an informal group of Aboriginal elders from around south-east Australia who he consults when he and Cooper come across similar pieces at auction, in private collections or in institutions. A number of 19th-century weapons such as boomerangs and spears are listed in the Sotheby’s auction catalogue, alongside pieces from the Fiona Brockhoff collection of early Aboriginal sculpture and contemporary Indigenous art from the estate of Gabrielle Pizzi. Asked about the provenance of items such as the shield, Tim Klingender, a consultant on Aboriginal art to Sotheby’s London, said it was true some items had been taken as curios in the 18th century and had remained in private hands since, only to be rediscovered in homes in England and Scotland. Regarding recent cases in which items had been returned by institutions, such as the Shiva statue repatriated to India by the National Gallery of Australia after it was found to have been stolen from a temple, Klingender says there is no comparison. Unlike the Shiva, there is no suggestion the weapons listed at Sotheby’s were stolen, nor their ownership history falsified. However, he says it is true that some ethnographers collected many items such as bark paintings without recording “a single name”. Jones, whose research focuses specifically on shields, says the lack of detail is deeply problematic. “It’s a challenging idea. If something was sold was it under duress? Were people in a position where they could refuse a sale?,” he asks. A mysterious and long-disputed document purported to be America’s oldest surviving manuscript is genuine. That’s the conclusion of a new review of research on the Grolier Codex, a fragmentary 13th Century Maya text whose unlikely provenance ― it was reportedly found by looters in a Mexican cave in the 1960s ― had led some to conclude that it was likely a forgery. “With this review, which examines information that a forger in the early 1960s could not possibly have known, it becomes crystal clear that this is the earliest surviving book in the New World,” Dr. Stephen Houston, a Brown University archaeologist and a member of the team that conducted the review. As described recently in a paper published in Maya Archaeology, the team reached their conclusion after an exhaustive analysis of existing research on the codex (the term is used to describe a manuscript in book form). New Zealand has a history of art crime which will be exposed in an intriguing new exhibition to open at Waikato Museum by the end of the month. The exhibition, An Empty Frame: Crimes of Art in New Zealand features 30 artworks and explores the different aspects of art crime; theft, vandalism and fraud in the form of forgery. Guest curator and art historian Penelope Jackson says art crime is far more widespread than we know and New Zealand is no exception where art crime is criminally punishable and often motivated by money. All artworks in the exhibition have at some stage been “victims” of art crime and each is accompanied by its own particular story. An Empty Frame is named after the elegant gold frame, left behind after the 1902 painting, Psyche by Solomon J Solomon was stolen from a Christchurch gallery in 1942. The famous frame now belongs to the Christchurch Art Gallery collection and is featured in the exhibition. “Psyche is one of my favourite cases as it is full of intrigue. There is a sense of hope the exquisite gold frame will one day be reunited with the stolen painting, although it is highly improbable now”, says Ms Jackson. One aspect of An Empty Frame intended to challenge visitors is the placement of a genuine artwork from the Museum’s collection alongside a fake. Visit http://waikatomuseum.co.nz for more information. A royal scandal has struck the Palace of Versailles after the arrest of two respected antiques dealers on suspicion of selling fake furniture to the acclaimed French chateau. The French State payed 2.7 million euros for the purchase, a sale said to be organised by chair expert Bill Pallot, who was arrested along with Parisian gallery owner Laurent Kraemer. A Parisian carpenter specialising in old furniture reportedly made the fakes. It comes at a time in which Versailles wants to refurnish its halls with patronage money. The French art fraud office OCBC is currently investigating the crime, one which has sent the antiques world into a spin and could overshadow the Biennale des Antiquaires art fair set to open this weekend in Paris. It is a privilege afforded to lawyers to observe the problems faced by individuals, families and trustees in respect of their assets and seek to find solutions. Disputes concerning art, antiquities and cultural assets – sometimes more colourful and interesting than the object in question – can be particularly emotive. One aspect that differentiates the market for art and antiquities from the trade in other valuable assets is that it is largely unregulated; anyone can buy and sell freely without having to comply with any prescribed formal requirements. As the value of such assets increase and the stakes get higher, so does the potential for things to go wrong. This can lead to interesting issues concerning, provenance, attribution, legal title and forgeries (to name a few examples). The provenance and attribution of an artwork or antiquity are often key considerations. A connection to a well-known historic collection, or authorship by a renowned artist or maker can enhance desirability and thus add significant value. Of course, the reverse is also true in cases where the provenance or attribution turn out to be incorrect. One can imagine the disappointment of finding out, as one of our client’s did, that artworks, which had been sold as being by a highly regarded artist whose works were in a European royal collection, were actually by a minor artist of no significance and worth many times less than the price paid. Navigating between fact and ‘sales puff’ can often be a challenge. Does a statement that an artwork is of exceptional quality mean that it is unusually good, or is this just a statement of opinion by the seller? Buyers of art have to be cautious about readily accepting statements made about it. Even pre-eminent experts can sometimes have differing opinions. Matters such as attribution, and the physical condition of an artwork can be difficult to assess when restoration and underlying issues are not always visible to the untrained eye. The case of Thwaytes v Sotheby’s provides a noteworthy example. Mr Thwaytes consigned a painting, The Cardsharps, to Sotheby’s for sale by auction, putting them on notice that it may be a work by the renowned old master, Caravaggio. Sotheby’s experts examined the painting, but took the view that it was a copy by an unknown artist. The picture could, of course, have sold for many multiples of the sale price had it been sold as a work by Caravaggio. The buyer, a renowned art scholar, later identified the picture as being an autograph copy by Caravaggio himself. Mr Thwaytes sued Sotheby’s for negligence, but was unsuccessful; the court found that Sotheby’s had not breached their duty since there was nothing that would have been visible on a visual inspection that should have counteracted Sotheby’s view that the painting did not have Caravaggio ‘potential’. The case illustrates just how subjective authenticating a work of art can be. Unscrupulous sellers - of which, unfortunately, there are a few around - will often make grandiose statements about the artworks/antiquities they are selling in order to secure a sale. It is, therefore, vital for any buyer to make sure that the object being sold is what it purports to be, or at least ensure that there is adequate protection in place should things go wrong. A Manhattan art gallery is being sued for selling inauthentic sculptures by the renowned art deco artist Demétre Chiparus. The cost? Over US$100,000. Christopher Rouse claims Elliot Stevens gallery attempted to convince him that the statues were made using original molds which was acquired after the sculptor died in the luxurious Waldorf Astoria Hotel. Rouse maintains to have been told that the statues were for sale at a 75% markdown because the gallery owners were retiring. In reality, however, the Romanian sculptor lived and died in Paris, and an expert witness at the trial in a Manhattan federal court testified that the statues were most likely Chinese-made forgeries copied from photographs. Elliot Stevens CEO Steven Shalom was scheduled to appear in court on Wednesday but was forced to postpone his testimony due to illness. Shalom will testify in October, when the trial continues.